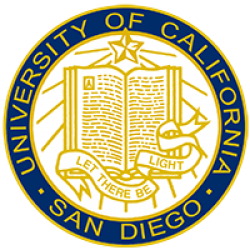 UC San Diego | 5 UC San Diego Physicists elected as Fellows of American Association for the Advancement of Science. Friday, November 30th, 2012 - 5 UC San Diego Physicists elected as Fellows of American Association for the Advancement of Science. 5 UC San Diego Physicists elected as Fellows of American Association for the Advancement of Science. In October 2012, the AAAS Council elected 701 members as Fellows of AAAS. These individuals will be recognized for their contributions to science and technology at the Fellows Forum to be held on 16 February 2013 during the AAAS Annual Meeting in Boston, Massachusetts. The new Fellows will receive a certificate and a blue and gold rosette as a symbol of their distinguished accomplishments. Congratulations to Dimiti Basov, Benjamin Grinstein, David Kleinfeld, Aneesh Manohar, Art Wolf.